Dr. Shalmi Mehta completed her M.D. Pediatrics from Bhavnagar University in the year 2007 with a Gold Medal. After this, she got an opportunity to work in the department of Pediatric endocrinology at the renowned Hospital for Sick Children, Toronto, Canada. At Sickkids, Dr. Mehta got training in various subspecialities of endocrinology like Diabetes, Metabolic bone disease, Growth disorders, Ambiguous Genitalia, Pubertal and Thyroid disorders. During her training period, she learnt the comprehensive management of pediatric diabetes in great details under the guidance of Dr. Kusiel Perlman and Dr. Diane Wherett. She learnt the principles of management of pubertal disorders and other general endocrinological disorders from Dr. Mark Palmert and Dr. Jill Hamilton. Dr. Etienne Sochett took her through the Sickkids approach of treating metabolic bone disease in children. 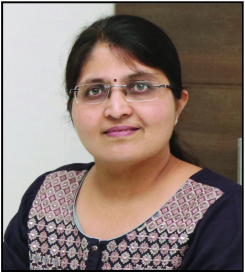 Dr. Shalmi has been practicing at Endokids Clinic, Ahmedabad since the year 2010. She has treated numerous patients in various fields of Pediatric Endocrinology. Dr Ruchi Shah did her M.B.B.S. and M.D. (Pediatrics) from Smt. N.H.L.M.M.C. in 2013 with a gold medal. After this, she did her fellowship at Bai Jerbai Wadia Hospital for Children, Parel, Mumbai in Pediatric Endocrinology. Division of Pediatric Endocrinology at BJWHC was established more than 40 years ago by respected Dr Meena Desai. During her training period, she got an opportunity to work under the guidance of Dr Sudha Rao, Dr Rajesh Joshi and Dr Aparna Limaye. During her training period, she was involved in taking care of indoor and outdoor pediatric and neonatal patients with endocrine disorders, various procedures, post graduate teaching and academic activities. Dr. Charmy M. Shah is practicing as Homoepathic Consultant since last 16 years. She is giving her services as a homoeopathic consultant and dietician at Kutchi Jain Seva Samaj since last 13 years. Kutchi Jain Seva Samaj - has awarded her with "Letter of appreciation" for her honourable services. In the year 2011, she added a feather in her cap and persued degree in Health & Nutitionist and Diabetes Educator. 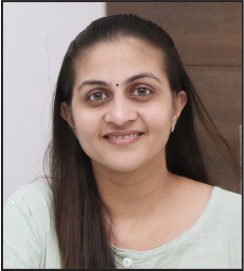 She beign dietician started giving diet to obese and diabetic children alogn with Dr. Shalmi Mehta (Pediatric Endoorinologist) at ENDOKIDS CLINIC, Ahmedabad. She has treated more than 5000 pts of obesity, Diabetes and other health issues. She is now famous as Diabetes Educator & is giving lectures among Juvenile Diabetic Federation to help pediatric diabetes pts for their daily food habits. She is also doing TV and Radio shows on "What food one should take if you have Type 1 (Pediatric) or Type 2 Diabetes". They have been invited as a faculty at various state and national level conferences. Dr Shalmi is also the convener for the GROWTH MONITORING WORKSHOP, which is an initiative by the AOP Gujarat. She is also a key faculty member of the National Training of Trainers Workshop on IAP Growth Charts and Growth Monitoring. They have been actively involved in conducting various diabetes education and awareness programs for patients with Type 1 DM.